Knowing how to narrow down the wide range of corporate venues to find just the right one for your needs is one of the most challenging things about event management. Venue sourcing cannot be rushed, as you don't want to discover the venue is not the right fit after all once you have booked it. Putting some time and effort into your venue search is not only advisable but also smart and cost-effective. To help kickstart your conference venues finding here are some top tips on how to start your search, and help you find the best location. #1 Get Expert Help We are here to help. If you are really having trouble finding the right location or are just short on time, then please get in touch today. 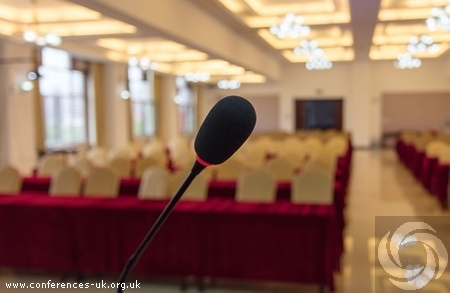 At Conferences UK we use state of the art software to narrow down your choices based on meeting room capacity, by meeting room type, by location, by type of venue, or by sufficient bedroom capacity. #2 Venue Review Tools If you hadn't had the chance to visit a venue or know anyone else who has hosted an event there, there are still some ways to get an enhanced feel of what the venue is like. Take a look on Google Maps, for example, to not only gauge what the location is like but also read reviews from actual conference organisers who have previously used the location. You can also use Yelp for this purpose, as well as getting a better idea of what the venue is primarily advertising themselves as. One thing to be wary of though, is fake reviews - and there are some tell-tale signs to indicate what these might be. Things like exaggerated words such as 'life-changing' and 'must-see' are quite common indicators of fake reviews as well as reviews that emphasize a certain subject rather than the venue itself. #3 Talk to your Network If you have checked the reviews and are still not sure about which venue to choose, then it may be time to turn to your network. After all, research shows that personal recommendations appear highly on the sources that we trust. You could email another local event manager that you know in order to get their views or why not turn to social media? You could post a poll on LinkedIn or Facebook containing your top choices and ask people to vote, or look for groups specifically for event planners and ask for help - they may come up with locations that you haven't even heard of. You could also come up with some kind of survey and email it to a group of respondents asking attendees for their direct feedback - a great way to get them engaged in the event. #4 Keep an eye on your Competition Trends in conference venues vary from industry to industry, but some locations are popular with attendees across every niche. An increase in hotel costs, travel and other expenses have led conference attendees to raise their event expectations also. This increased cost and increase in expectation has meant that as a conference planner you need to be constantly evolving and improving, keeping in mind the main three conference trends: - Creating a unique event experience and space - Selecting a venue which fosters positive brand association amongst your attendees - Selecting a location that emphasises local pride, culture and businesses (where appropriate) One way to do this is to keep an eye on other major events in your area, and look at the venues they are being held at, and how these events are marketed. Make notes on what the main events have in common, and use this to help to find similar features in your chosen venue. #5 Talk to other Stakeholders Most event planners are not only concerned with the planning of the conference, but also the marketing, registering and execution. This can leave you with little time on your hands. Why not tap into resources available to you which won't cost you anything - such as the stakeholders for your conference. It is likely that you have spoken to caterers, AV companies and speakers as part of your preparation for the conference, so why not talk to them about their past experiences and ask them what their favourite venues are and why. #6 Have a clear vision of what you want Before you even think about booking a location, you need to be clear about what exactly it is that you want. Think through your event step-by-step before you put down that deposit, so that you don't get any nasty surprises later on. Establish the SMART goals for your conference and how you intend to measure them. Some of the most common goals used include: - Providing an impactful networking experience - Advertising a new product or service - Establishing your company as thought leaders in your niche - Building a relationship and community with your prospects The venue you chose, should therefore align with these goals, and include some wiggle room for potential issues that may occur during the event. #7 Don't forget about Interior Design Your event theme should work in harmony with your chosen venue to inspire and delight your conference attendees as well as encouraging networking. You should take into account the three main design elements when deciding on your venue: - Lighting to set the mood, focus the attendees and help with the quality of photographs. Using various light intensities and colours during the conference, can help highlight important events and set the ambiance - Furniture is another important mood enhancer, with larger areas being perfect for mingling while smaller more cosy areas encouraging more one on one conversations. - Mood boars are important to help give you an idea of what conference attendees want while you browse the venue, you can update them daily if you wish. Finding the perfect event venue, such as the Nottingham conference centre, is never going to be a straightforward process (unless you talk to the professionals) but with the right strategy and resource in place it might become easier and more enjoyable than you thought. We wish you every success in finding the right conference venue for your next event.